40% Off Everything And Up To 85% Off Clearance Online at Justice! You are here: Home / Great Deals / 40% Off Everything And Up To 85% Off Clearance Online at Justice! Items like these Printed High Low Dresses are 40% Off today and tomorrow! Get $5.99 flat rating shipping. Use Code 774 at checkout to get this deal! 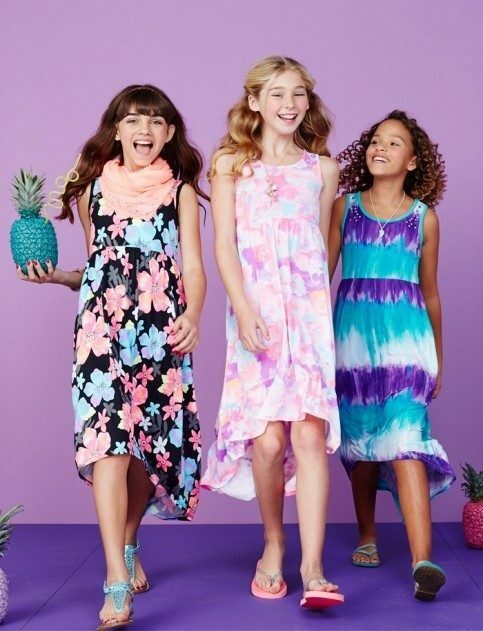 The 40% Off Everything And Up To 85% Off Clearance Online at Justice will make it easy for your favorite tween to get a fabulous spring dress like the knit Print High Low dress with embellished neckline and tie back !